The Daniels Fund Ethics Initiative at the University of New Mexico is pleased to announce the third NASBA Center for the Public Trust speaker this semester. Former Enron Executive Andrew Fastow will join a group of students and business leaders to talk about “Rules versus Principles” on Monday, November 24 at 4:30 p.m. in the UNM Anthropology Lecture Hall. RSVPs are required. Doing select speaking since his release from prison several years ago, Mr. Fastow recognizes the importance of principles in establishing an ethical organizational culture and curbing misconduct. Despite today’s more regulated and enlightened business environment, we continue to witness “Enron-esque” failures of corporate governance. Enron’s former CFO will make observations about how the ambiguity and complexity of laws and regulations breeds opportunity for problematic decisions and will discuss what questions corporate directors, management, attorneys, and accountants should ask in order to ensure that their companies not only follow the rules, but uphold the principles behind them. Join us on Monday, November 24, 2014, 4:30-5:30 at the UNM Anthropology Lecture Hall. Please RSVP as space will be limited at: jsawayda@gmail.com. For additional information contact Dr. Linda Ferrell at LFerrell@unm.edu. Mr. Fastow was the Chief Financial Officer of Enron Corp. from 1998 – 2001. In 2004, he pled guilty to two counts of securities fraud, and was sentenced to six years in federal prison. He completed his sentence in 2011, and now lives with his family in Houston, Texas. Mr. Fastow currently provides litigation support at a law firm, and he consults with Directors and management of public companies on how best to identify potentially critical finance, accounting, compensation, and cultural issues. 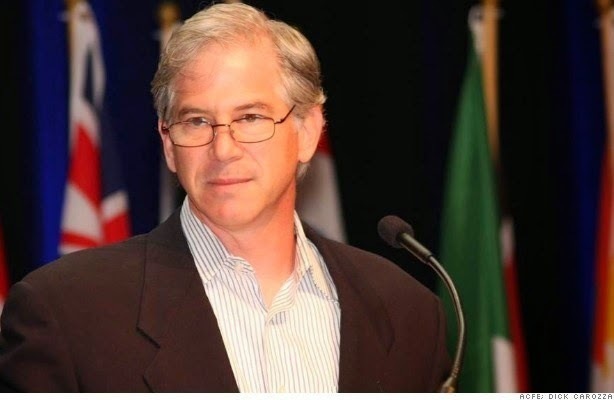 Mr. Fastow received a BA in Economics and Chinese from Tufts University and an MBA in Finance from the Kellogg Graduate School of Management at Northwestern University. Prior to joining Enron, he was a Senior Director in the Asset Securitization Group at Continental Bank N.A. Since his release from prison, Mr. Fastow has been a guest lecturer at universities and corporations, and at conferences for management, corporate directors, attorneys, accountants, and certified fraud examiners. Mr. Fastow was recently keynote speaker at the United Nations’ Principles of Responsible Management Education Conference and the FBI’s Advanced Financial Crimes Seminar. The Daniels Fund Ethics Initiative at UNM is part of an 8 school consortium supporting principle based business ethics education including the University of Wyoming, University of Utah, University of Denver, Colorado State University, University of Colorado-Colorado Spring, University of Northern Colorado, and New Mexico State University. The Daniels Fund specifically provides $1.25 million to UNM for 5 years of funding for business ethics education. To submit your news item to This is Anderson, please complete this form.